Asthma is an inflammatory disorder of the airways, and causes shortness of breath, chest tightness, coughing and wheezing. 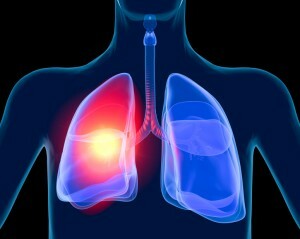 Asthma is an extreme allergy often related deficiencies and toxicities, environment (pollutants, fungus, mold) and food. It affects 8.4 percent of the population or over 25 million Americans (including many children), and it’s increasing every day in America. Dr. David Strachan, a respected epidemiologist at Britain’s London School of Hygiene and Tropical Medicine launched a tidal wave of debate with the argument that weaker immune systems have led to asthma, hay fever and eczema; the weakness can be tied to our microbe-phobic society full of hand sanitizing and avoiding dirt at all costs. We may actually be weakening our immune systems and ability to adapt to our environment by being overly scrupulous in our germ avoidance. When looking at the cause of asthma, we have to look at the possible sources of inflammation. From a dietary standpoint, gluten (mainly wheat) and pasteurized cow dairy are the two most common triggers, with numerous anecdotal cases and clinical studies of sufferers reporting their symptoms disappearing after removing wheat. If you have very high antibodies to gluten, this can be the cause of asthma. hma in some children. The effects of any of these foods usually do not show up for 2-3 days. Chronic asthma can be caused by ingesting too much nickel. Nickel is used in hydrogenation of vegetable oils like margarine, all peanut butters except organic, french fries, ice cream and others. Any label that shows “hydrogenated oil” means trouble for asthma sufferers. Deficiencies of B6 have been linked to asthma. B6 deficiencies are common in America because of the low consumption of raw dairy in the form of milk and cheese, and the best source of B6 which is liver, seaweed and tuna. When B6 is lacking, the pathways for B1 and B2 may be less effective and can lead to a full B deficiency. Low manganese levels are consistently associated with childhood asthma, while one study found a similar relationship between dietary manganese intake and asthma in adults. Manganese is found in shellfish, nuts, berries and chickpeas. A high concentration of glutathione is necessary to maintain the fluidity of mucus. Glutathione combines with another chemical called nitric oxide to produce nitrosoglutathione. When glutathione combines with nitric oxide, it becomes a bronchodilator 100 times more supercharged than theophylline, a once-common asthma drug that has largely been abandoned because of its side effects. Glutathione is boosted in the body by eating enough meat, eggs and dairy, b-vitamins and magnesium, bone broth, selenium, vitamins C and E, iron, copper, zinc, and manganese and raw fruits and vegetables. Nitric oxide foods include: pomegranates, eggs, grass-fed whey, nuts, seeds, coconut, seaweed, and apple cider vinegar. Bromelain, found in pineapple, reduces inflammation, accelerates tissue repair, eases pain and shortens recovery time. Garlic suppresses the body’s production of platelet-activationg factor, a protein in the blood that plays a role in triggering bronchospasms. : Shiitake, portobello, crimini and oyster are excellent fiber sources and additions to a meal. Children with asthma have lower vitamin A levels than children without asthma, and the degree of vitamin A deficiency they exhibit is directly proportional to the severity of their asthma. Low vitamin D levels have been connected in studies to asthma attacks. Levels above 36 ng/ml have been found to have the least amount of attacks. Omega-3 fatty acids are necessary for cell oxidation, metabolizing important sulphur-containing amino acids and for maintaining proper balance in prostaglandin production. Deficiencies have been associated with asthma, heart disease and learning deficiencies. Vitamin C inhibits the release of histamine, and 1,000mg a day can help prevent an attack. Vitamin C rich food also contain flavonoids, which can block the release of histamine, and can curb allergy symptoms. Vitamin C is heavily concentrated in the adrenal glands, and the adrenal activity in asthma patients is below normal. This causes the kidney function to be impaired. Under great stress, the lungs try to help the weak kidneys by secreting some of the toxins through their mucus membranes. This causes inflammation, degeneration and atrophy of the bronchial tubes. By counteracting oxidants and reducing external attacks (bacteria, virus, toxins, xenobiotics) in the lung, antioxidant vitamins modulate the development of asthma and the impairment of pulmonary function. It is extremely effective for the immune system to help prevent colds, strengthening lung tissue and for building collagen. When babies aren’t delivered through the birth canal (c-section) they don’t get the bacteria from the mom in their intestinal tract. This prevents them from developing normal, healthy gut flora, which is important to a healthy immune system. If they are also bottle-fed instead of breast-fed, their immune system is even lower. One study found that if women with a family history of allergies were given acidophilus during pregnancy, their babies were 50% less likely to develop asthma, allergies, runny nose, and eczema. Probiotics are also found in yogurt, kefir, sauerkraut, Kevita and Kombucha. The adrenal activity in asthma patients is below normal. This causes the kidney function to be impaired. Under great stress, the lungs try to help the weak kidneys by secreting some of the toxins through their mucus membranes. This causes inflammation, degeneration and atrophy of the bronchial tubes. Cordyceps have traditionally been used to strengthen the kidneys and the lungs, and help reduce inflammation in the airways, reduce phlegm, while also restoring their function. It may increase the production of adrenal cortex hormones and help expand bronchial smooth muscles. A 2006 study looked at the effects of Cordyceps on the cellular immune functions of asthmatic children. In two groups of 40, both groups were given inhaled glucocorticoids, but the treatment group was also given Cordyceps. After 3 months, 75% of the treatment group had no symptoms, normal physical signs and lung function.